Recently we had lunch at Benjy’s were they served cheese biscuits in lieu of the standard bread basket. They were quite good and we decided to try to make our own. We got the recipe from Caribbean Cookbook A Lifetime of Recipes by Rita G. Springer. 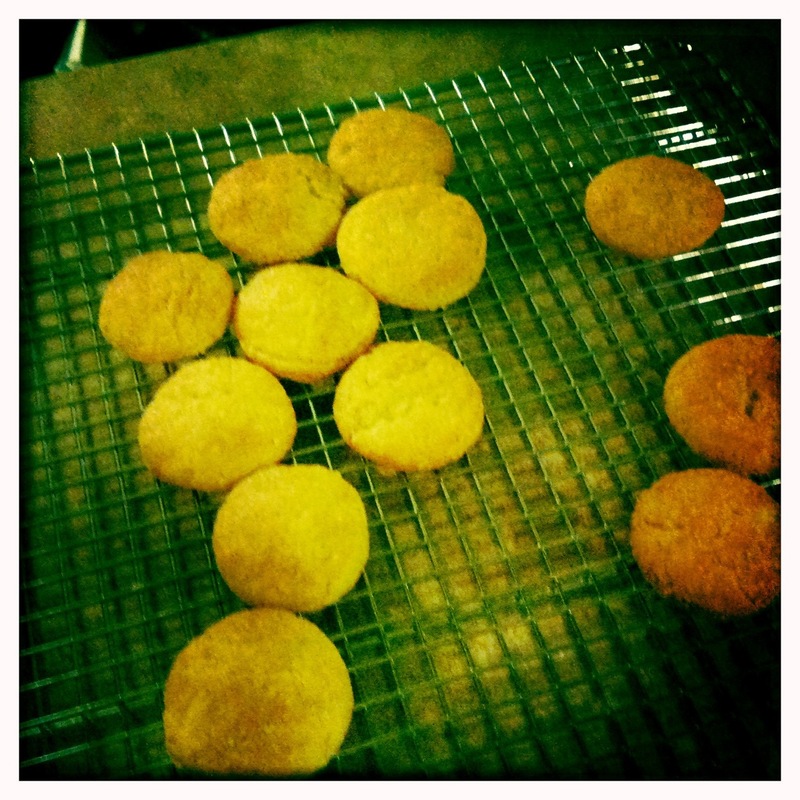 The original recipe uses a cookie press which we don’t have so we rolled them out and used a cookie cutter. For cheese we used a combination of Romano and Parmesan. Once baked they were light and airy and delicious. Mix flour, grated cheese, salt and pepper. Rub in margarine and mix to a smooth paste with egg yolk. Had already eaten half of them by the time the picture was taken. Here they are, the final 10. The 50 best cookbooks | Life and style | The Observer. We only have one from this list (Number 5 – Roast Chicken and other Stories, by Simon Hopkinson), but based on the recommendation here will probably get others. It’s impossible to have too many good cookbooks! Yep, I idolise Mr. Henderson. He in turn, is extremely impressed with Simon Hopkinson. Here Henderson waxes lyrical about Mr. Hopkinson’s rather quirky “Roast Chicken and Other Stories“. Well 50-11 anyway, we’ll have to wait for 10-1. Gratifying to see a number of books that we already have, and a very useful list to start researching new purchases.